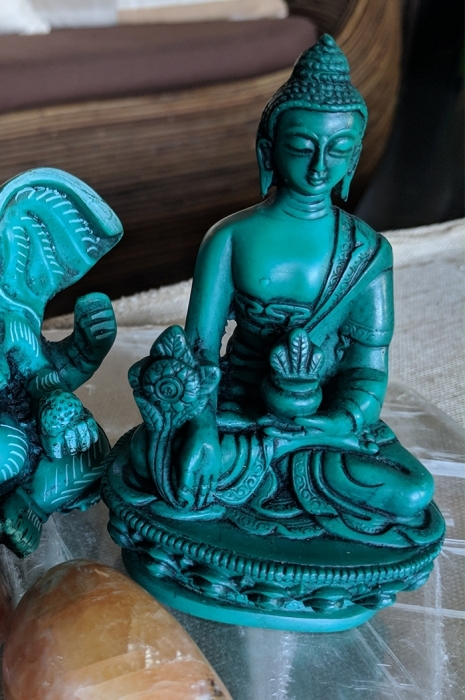 TURQUOISE BUDDHA has a vintage patina and comes from my favorite vendor in Tibet. Seated mudra is for meditation and tranquility. Placing him on your altar, shrine or at your desk reminds you to stay focused. When you are calm and in your zone you can be more productive. What I find most exciting about this piece is his color of turquoise. Rarely do I find this soothing yet colorful type of sacred statuary, plus the carving has beautiful detail. 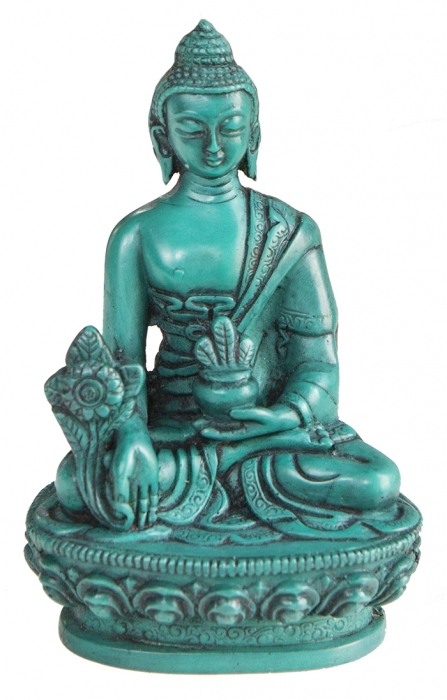 Turquoise Buddha has a lovely face and calming spirit, so if he calls out to you bring him home. I only have this one.